On October 13, 1975, the British rock band, Queen, released "Bohemian Rhapsody" from their fourth studio album, A Night at the Opera, with the help of EMI.Elektra records. Written by Freddie Mercury, the track became a huge success upon it's release by selling over one million copies by 1976. 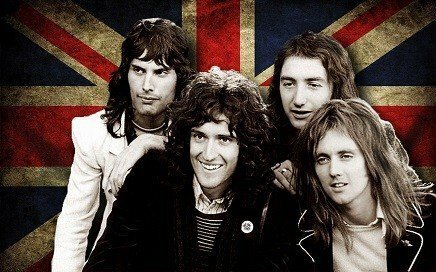 As a best seller, it's production cost was over the top, but upon it's release, "Bohemian Rhapsody" scored top position in the UK Singles Chart andstayed there for the next nine weeks. In 1976, the track became number nine in the United States and later climbed to number two in 1992 after being featured in the Wayne’s World movie. Although it received mixed critical reception, the song became a best-seller accompanied by a promotional video that revived the tracks glory to new heights. In 2004, "Bohemian Rhapsody" found its way into the Grammy Hall of Fame while Rolling Stone awarded Mercury’s vocal performance as the greatest in rock history by readers. Throughout their tours, Queen featured other artists for live performances including Paul Rodgers during the Live at Wembley ’86, 2005/6 tour, and Rock the Cosmos Tour. The band plus Adam Lambert performed the track live on Queen&Adam Lambert Rock Big Ben. Many scholars have come up with various theories and interpretation of the music. However, the lyrics reveal a murder confession that went to trial but the final judgment has two outcomes. With over 447 million views on YouTube, the track has received several awards including the MTV Video Music Award for the Best Video from a film and Brit Award for British Single. On November 24, 1991, the band lost it's lead singer Freddie Mercury to Aids. Before meeting his death, Freddie acknowledged his status to the public. The openly gay artist Adam Lambert and the band continue to keep Freddie’s legacy alive with great music and awesome entertainment.